In shamanism, drumming is a powerful group experience that moves you into a state of receptivity, trance and even ecstasy. It is a catalyst for the 'shamanic journey' into the underworld where you can meet your Power Animal or Guides. 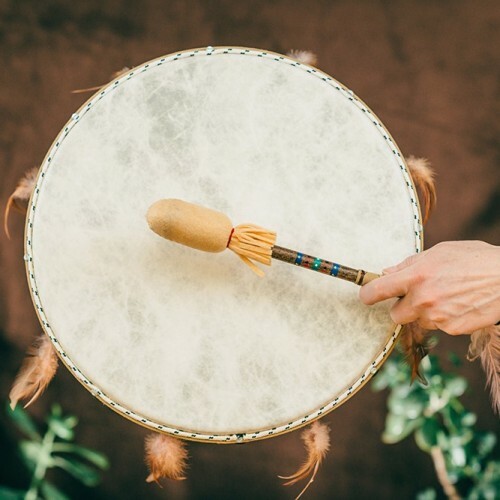 Shamanic drumming has been shown to change brainwaves from Beta (the normal alert, busy state) to Alpha (meditation) and Theta (deep relaxation and dreaming), as well as lower blood pressure and reduce stress.